1.4 More pictures on Instagram. Follow my page on Facebook. The Rhine Falls in Switzerland (between the towns Neuhausen am Rheinfalls and Laufen-Uhwiesen) are the biggest waterfalls in Europe: though with a height of 23 meters not very high but with over a width of 150 meters up to 700’000 liters of water fall over the rocks every second it is the biggest water fall in this terms. Schaffhausen makes a wonderful day trip from Zurich or Lucerne, but the town center of Schaffhausen is also very cute and worth a visit. If you want to find out more about Schaffhausen check out my post and also check out my post about accommodation in Schaffhausen and one of the best dinners I had in 2016. 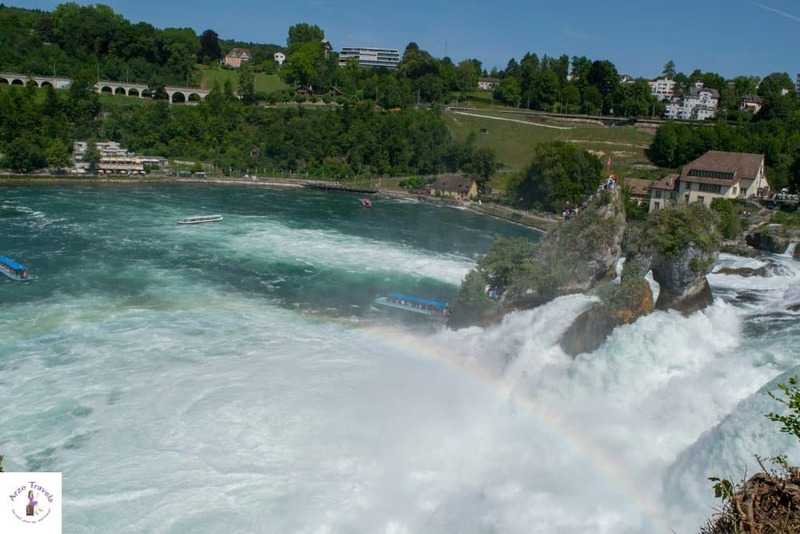 I visited the Rhine Falls in Schaffhausen three times and used two different entrances – each entrance offers different activities and views of the Rhine Falls. 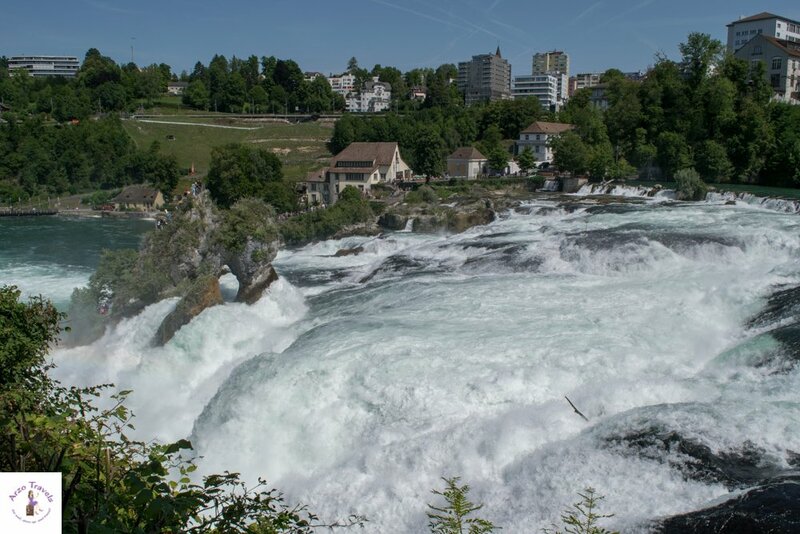 If you plan to visit the Rhine Falls, you can either use the “entry” Schloss Laufen (Site Dachsen/Zurich) or Schlössli Wörth (Site Neuhausen/Schaffhausen). Last year I decided to use the entry at Schloss Laufen, there are free parking options available and paid about 5€ entry. I wanted to keep my visit short because it was a bit rainy, and so I left my dog in the car, though dogs are allowed to visit. There are some souvenir shops, cafes and an older castle – Schloss Lauren, where I had to walk down some stairs to get to a platform. 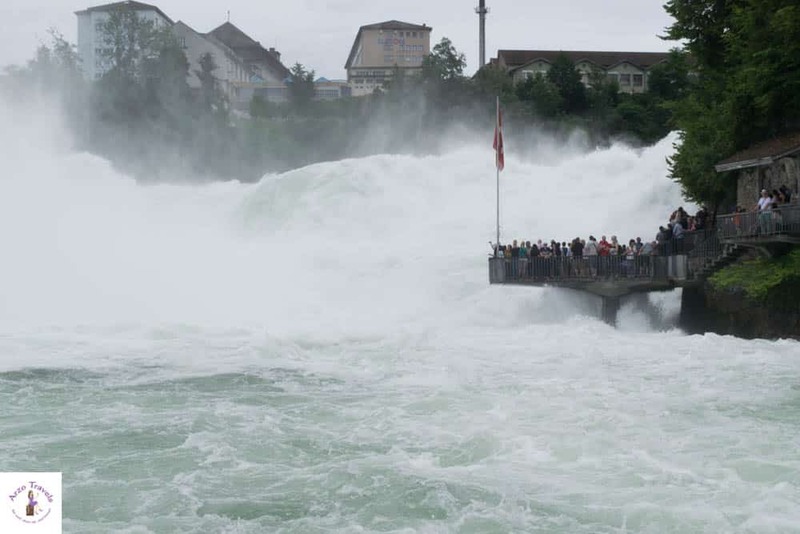 I saw the Rhine Falls from a platform, which was quite impressive because you get quite close to the waterfall. This year, I decided to do a little boat tour, which is on the other side of the Rhine Fall. 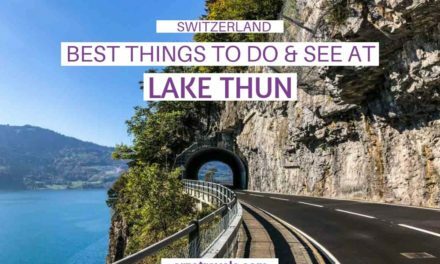 This time, I had my little dog with me and so I only had the chance to do the short boat tour, but there are several more options. I had to use the other entry which is from Schlössli Wörth which does not charge any entrance free, but I parked my car at the parking space (first 1 hour= 5€). 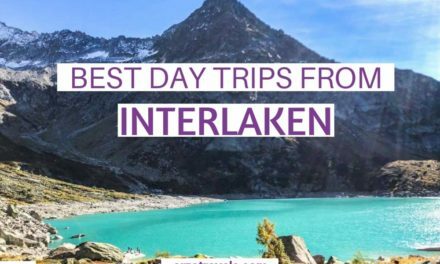 If you do not want to head somewhere else afterwards I would recommend coming here by public transport so you save that money, and it is much less stressful. 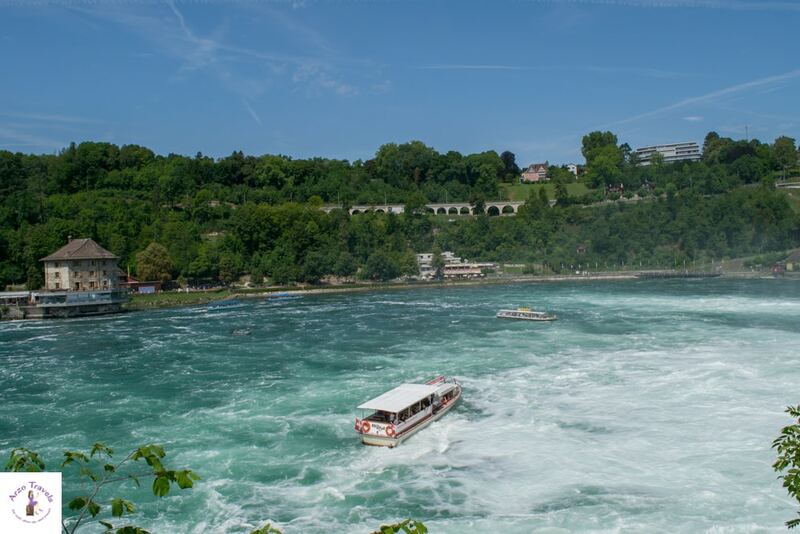 If you choose seeing the Rhine Falls this way, you can do the boat tours from here. If you have enough time, I would recommend seeing it from both sides, especially because it is not that far from each other and you could walk. I did a 15-minute boat tour (about 6€) and it turned out that the heavy rain, of the previous days, was my luck because the waterfall was much, much more powerful than on my last trip. If I remember correctly the boat driver told me that that day there were like 900`00o liters of water cascading. 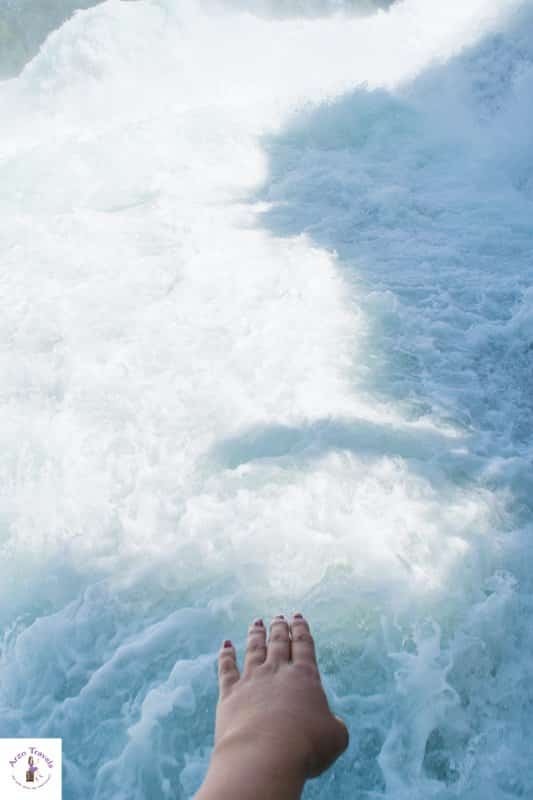 I got actually also got scared about the people on the platform as it seemed they would be washed away by the water. There are plenty of other activities (soft rafting, canoeing, etc. ), you can do but with a dog that is easily scared and not well behaved (so I could leave him alone) I was not free in my actions and just walked around a bit. 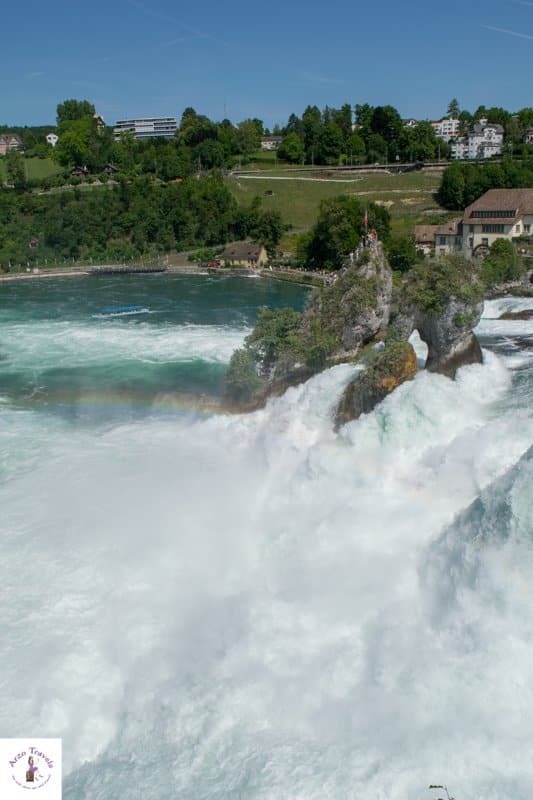 There are also restaurants where you can have drinks/food with great views of the waterfall and if I had more time I would have definitely strolled through that area for much longer because it is actually a nice area and the Rhine Falls is actually much more than just the Rhine waterfalls itself. I can only imagine how romantic it must be in summer in the evening. 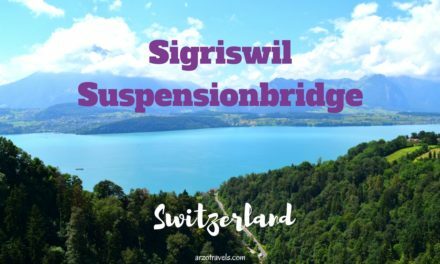 Read more about Switzerland here.